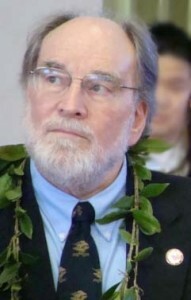 Governor Neil Abercrombie, file photo by Wendy Osher. 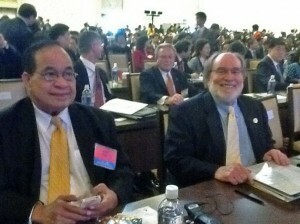 Governor Neil Abercrombie arrives in Tokyo this morning as part of a two week trip to Asia. The visit includes meetings with travel industry leaders and dignitaries in Tokyo, Okinawa, and Beijing. The governor will be accompanied by Hawai’i Tourism Authority (HTA) officials who arranged part of the trip in an effort to reach out to international markets and strengthen economic relations prior to the upcoming Asia-Pacific Economic Cooperation (APEC) summit. 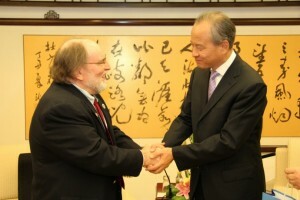 The trip is the first international trip for Governor Abercrombie since taking office. The cost for the governor, one staff member and security is about $28,642. During his two week visit, the governor will be attending meetings with HTA in Tokyo and Okinawa. He will then attend the National Governors Association (NGA) and the US – China Governors Forum in Beijing before returning to Hawai’i on the October 21st. “The Asia market is of great importance to Hawaii’s tourism economy, especially Japan, China and Korea, and the governor’s presence will strengthen the strong historical connections that Hawaii’s people and our visitor industry have there,” said HTA President Mike McCartney. 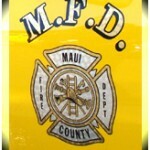 ***Supporting information courtesy Office of the Governor, State of Hawai’i.